1997 Barnett Way Los Angeles, CA 90032 | Sotheby's International Realty, Inc.
$868,000 3 Bedrooms2 Full / 1 Partial Baths2,000 sq. 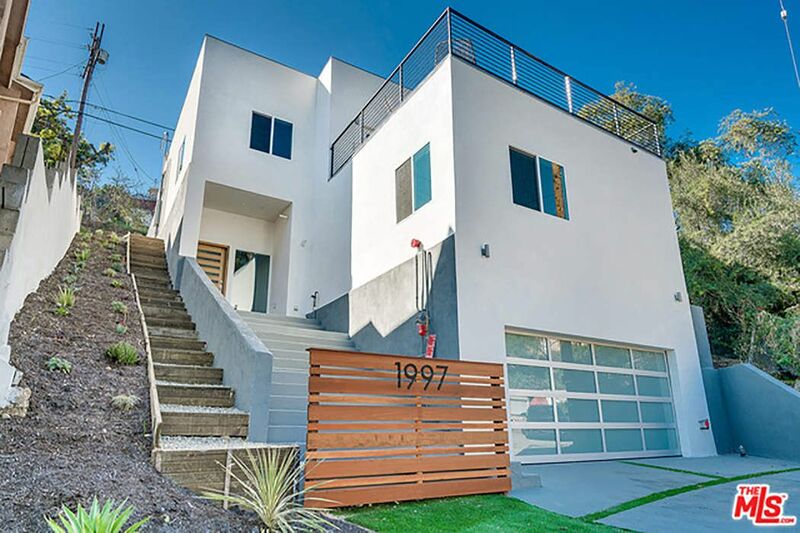 ft.
Beautiful new construction home high in the hills of El Sereno. This contemporary home dedicates an entire floor to a large great room combining living room, dining room and kitchen. Perfect for modern lifestyle. It has three spacious bedrooms, 2.5 bathrooms and multiple outdoor areas perfect for entertaining. This property features an abundance of open volumes, large windows and is filled with natural light. Wide plank floors throughout, contemporary bath fixtures and finishes, energy efficient construction and much more. Some other features of the house include drought tolerant landscaping and hardscaping, and a spacious two-car garage. New construction means all new electrical, plumbing, HVAC, roof, windows and more. Easy access to the 10 and 110 freeways, DTLA, Pasadena and much more.